A medium sized deciduous tree with small green glossy heart shaped leaves. Clusters of fragrant creamy white flowers are followed by winged fruits, a lovely shaped tree. This fab specimen has a cubed head starting above the clear stem at 2m tall, the cube is 150cm3 and trimmed to a beautiful cube, very contemporary planted in a row of 3 or 5. 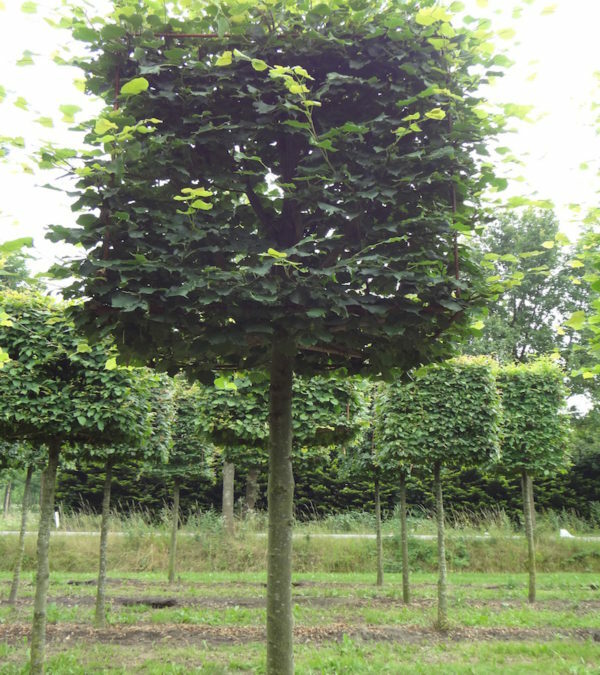 Tags: contemporary garden, cubed head tree, shaped tree, Tilia cordata.